This month we are fortunate to have Chris Well with us again. A couple of years ago Chris shared tips with an interview on marketing, but given all the changes that have taken place in the publishing world, I reached out to get his thoughts on how authors can use some of those to their advantage. Take it away, Chris. Why should an author worry about publicity - isn't social media enough? Although social media might give you a bump in the short term, smart publicity plays a longer game. To grow your audience, you need brand-new people to learn about you—and the most reliable way to make that happen is for influencers with a media platform to share you with their audiences. Yes, this can also happen on social media, but publicity accelerates it exponentially. I can retweet you or I can interview you for my podcast—which do you think will carry more weight? Social media is a constant stream of information, always rushing past us. What gets shared now will be pushed downstream when the next thing comes along in the next minute. When you use social media and publicity in tandem, you’ll have a better time of leveraging THEIR platform to build YOUR platform. What separates publicity from other types of marketing is that you’re featured on someone else’s media platform as a regular part of the editorial content: You’re the guest on that show, the subject of that interview, or the blurb in that column. The editorial content is the reason the audience is there, so you get all the benefits of being endorsed by that brand or influencer. Pound for pound, publicity is more credible, more cost effective, and reaches more people than advertising, content marketing, or social media marketing. I’m not saying don’t do the other kinds of promotion—they’re all spokes in the wheel. I’m just saying that publicity is one of the best spokes in that wheel. You take a strong interest in indie authors. 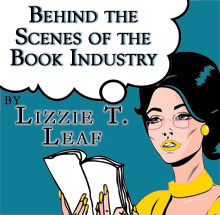 What drives you to help indie authors understand publicity? In addition to working 30-plus years in the media, I’m also an author. Following some disappointing experiences with traditional publishing, my eyes were opened to the challenges faced by authors who’d mistakenly pinned their hopes on the publisher to promote the book. In my day job in the media, I’ve noticed a growing number of authors who must figure out this stuff themselves. As a fellow author, my heart goes out to them. But to be honest, I also consider this a public service on behalf of all of us in the media. We need authors to do this better because it’s less headaches for us, too. How can an author do publicity and find time to write? One mistake I see with authors—and publishers—is they think a book is like perishable fruit: It’s only “fresh” a few weeks around the time of publication. But media interviewers don’t really care about the “publication” of the book. All they want is a guest with a topic that will keep the audience engaged. As such, it doesn’t matter whether the book is new, old, or still a work in progress. Publicity doesn’t have to be a “blitz.” Pace yourself. Can the average author afford publicity? You may choose to pay for resources or hire someone to help, but the actual publicity itself doesn’t cost anything. With the right email to the right person, anyone can get booked for an interview. Email is still free, right? What are the best ways for an author to get started? If an author wants to get started today, I generally recommend 1) start small, 2) start local, and 3) start working on your portfolio. Targeting smaller media that reaches your niche audience gets you some quick wins. It’s also more likely to put you in front of people more likely to follow up with you. Targeting local media is good because they’re already pulling for you. Unless you live in a big metropolitan center where it’s common to be an author, local media is almost the only place that “I wrote a book” can actually work as an interview topic. As you get some quick wins, you want to start documenting these appearances on a page on your website named “Media.” This is the page where you should have your media kit, and then you add links or screen captures or even embed media files to show where you’ve gotten some attention. Even with just some blog Q&As to start, each one you add to your Media page positions you better the next time the media is considering you. When do you recommend that an author start marketing and promoting a book? When you email your pitch to the media, your focus shouldn’t be on your book, but on a topic that will appeal to the audience of that media outlet. As such, you can build yourself as a subject matter expert well in advance of publication. This is also why you can continue to promote the same book for months—or years—after it was published. You have a course to help authors build their brand. Can you share information about it with us and how can one enroll? I’ve just launched a brand-new free email course for authors, “Position Yourself for Publicity.” Each lesson helps the student pivot into the exact position needed to prove yourself valuable to influencers. At the end of the five lessons, you’ll have written an author position statement that will transform how you explain yourself—to influencers in the media, to your followers on social media, to the members of your list, to booksellers, events planners, librarians, and anyone else who should know about you and your book. This spring, I’m also launching the first iteration of my new premium course, Get Interviewed: How to Leverage Media Attention to Build Your Platform. It will be limited to 60 students because we to make sure each student gets the right amount of attention. Chris, we did an interview a couple of years ago. How do you think things have changed in the areas of marketing and/or publicity that authors need to do? If anything, it’s become clearer than ever that you can’t build your platform exclusively on the backs of these big companies that offer free tools and services. Amazon and Facebook and Google change their tactics and their policies all the time. But the principles of publicity will always work. There will always be influencers with audiences that you want to reach. Go ahead and keep working with the Amazons and Facebooks for as long as it works for you. But remember that their business goals are not your business goals. Do you have any other suggestions or insights you would like to share with us? Publicity will raise an author’s visibility, but I recommend thinking of publicity as part of the larger scope of an author platform. It’s valuable to also follow best practices for social media and email and your blog and everything else. Always lead with giving something valuable to your audience. As you reach that correct ratio of offering value vs. talking about yourself, you’ll find that the same underlying ratio works for everything—publicity, social media, email, blogging, and anything else you might do for author branding and book promotion. Where can readers reach you and learn more about the courses you offer? My new website is http://BuildYourBrandAcademy.com. I can also be found on Twitter at https://twitter.com/BuildYourBrandA and Facebook at https://www.facebook.com/BuildYourBrandAcademy. Thank you for taking to time to answer our questions!